Whether you’re just starting to think about going freelance or you merely want to see how your earnings stack up against your cohorts, there’s one question that seems to be on everyone’s mind these days. 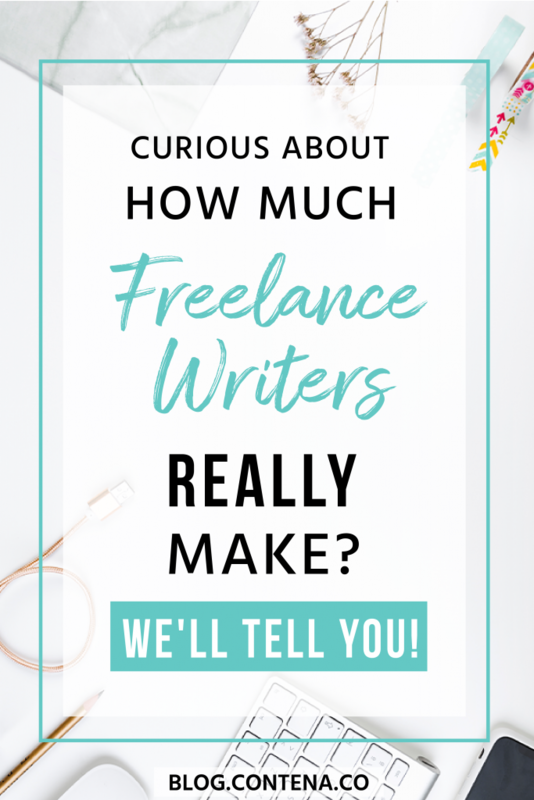 How much do freelance writers actually make? There are many different ways freelancers get paid (hourly, per word, project-by-project basis, etc.) which makes getting a clear answer regarding salary quite challenging. This lack of clarity is also due to the fact it’s very (read: very) rare for a freelancer to pull in a “regular” salary, at least in the traditional sense. Sure, we can tally up our yearly earnings into a tidy figure, but it’s one that’s likely to change from year to year and is often different from person to person. To help make your search for answers a bit easier, we’ve compiled some of the latest data that may help you get a better understanding of what you can realistically expect to earn as a freelancer. Since you’re most likely here seeking cold hard facts, let’s dive right in. The folks over at Glassdoor have the average for “freelance writer” down a bit to $42,120. On PayScale.com, a part-time freelance writer salary is put somewhere in the range of $24,000 – $115,000. As you can see, the numbers fluctuate quite a bit, which is to be expected due to the very nature of freelancing. However, the data collectors at the BLS know the importance of niching down, as they’ve given specific sub-categories such as public relations and technical writers an individual data interpretation, which we’ll discuss more in a minute. It’s no secret that some industries pay better than others. Some of the most profitable freelance writing niches are technical, financial, and medical writing. However, that’s not to say you can’t make good money outside these areas, but again, we’re merely talking data today. Financial writers (Securities, commodity contracts, and other financial investments and related activities) had a mean salary of $86,140, according to the BLS. As of May 2017, the average annual wage estimate for technical writers was $70,930 with the higher percentile jumping up to a whopping $113,810 per year. Within this niche, you can further specialize in even more profitable sectors. For example, technical writers who focused on electric power generation, transmission and distribution made an average base salary of $92,010. The Editorial Freelancers Association (EFA) has also compiled a handy and comprehensive list of average hourly and per-word rates that you can use to reverse-engineer a salary from, based on the working hours you can put in. According to EFA’s data, full-time (based on a “traditional” 40-hour workweek) writers in the medical field can pull anywhere from $124,800-$145,500 annually. With an average hourly rate of $60-70, even part-time medical writers (let’s call that an even 20 hours a week) can really clean up with an estimated annual salary between $62,400-$72,800. Below, check out some of the other niche-specific industry standards on which the EFA has gotten some impressive data. While getting a median average salary does give you a solid number to think about, there are a lot of considerations when it comes to the data. According to the BLS data, where you freelance does play a role in how much the average varies. For example, in California, the annual mean annual wage is $96,120 where in Alaska it drops off to $75,410. This location-specific data may come as a surprise to you because, as freelancers, we can work from practically anywhere. Thanks to freelancing freedom, where we call “home” doesn’t explicitly tie us to any geographical location for our work. The data obtained from the Bureau of Labor also doesn’t differentiate between those freelancing full-time and those at it part-time. Based on the numbers, I lean more towards believing that the figures listed are based on reports from full-time freelancers. However, there are plenty of part-time freelancers that hustle harder (and make more) than any full-timer I know. Remember, the more time and effort you put into your business, the bigger the reward you can reap. Also not factored into the data discussed above is experience, educational background, or general expertise in your chosen field. One of the main reasons people niche down is because they are considered “experts” in their field and therefore can charge more than a “jack-of-all-trades.” Depending on your qualifications, your exact numbers may vary a bit. The above data probably doesn’t account for the many costs associated with running your own business. For example, as a self-employed entrepreneur, you’re responsible for a plethora of taxes, social security, medical insurance, software subscriptions and the list goes on (and on and on). 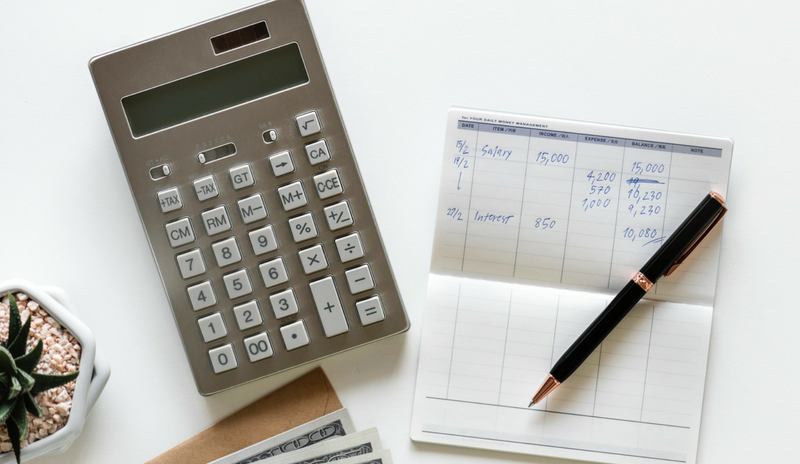 Even if the salary listed looks hefty, remember that a significant portion of that number is sloughed off for the not-so-fun administrative things. Now that we’ve thrown some figures your way let’s get down to brass tacks. Means, medians, and averages don’t mean a darn thing if you’re not putting in the work in earnest. Freelancing is one of those careers where “You get what you put in” is entirely and unequivocally accurate. It’s also prudent to note that especially if you’re just starting out, you probably won’t be pulling in mega-high rates. Even if only for a short time, newbie freelancers will have to “pay their due” while they build both their reputation and portfolio. The goal should be for growth over time and year after year. Thankfully, Contena can help you find higher paying clients with ease. Padding your portfolio with profitable clients can help boost your yearly salary by leaps and bounds. The more you put into your business, the more you’ll get out of it. Plain and simple. Having these figures should be a point of reference, rather than a benchmark set in stone. Take the above data with a grain of salt. The figures can either be a burden or a curse, depending on how you look at it. You can choose the former, and compare your earnings against them (but it’s like comparing apples to oranges because every freelancers’ journey is substantially different.) This way of thinking does no good for anyone. Instead, opt to use some of the more impressive sums as a source of inspiration. Choose to look at those higher salaries and set them as goals. Then plan to smash those goals by not only meeting them but exceeding them as well. With freelancing, the sky’s the limit!